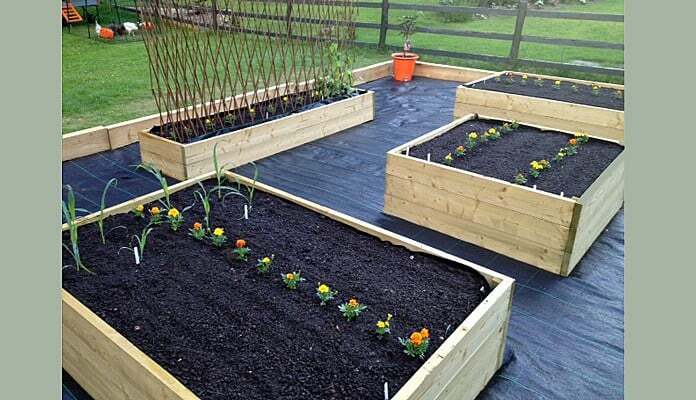 Standard Wooden Raised Beds are the most popular of our raised bed range, highly acclaimed and market leading these superb raised beds combine quality design and workmanship with value for money and performance. 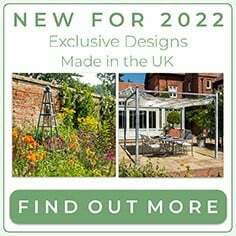 "In the photos I have also included the 2 other beds I ordered at the same time along with the insect proof covers I bought this year. 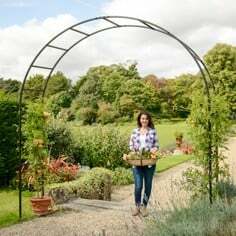 I have to say that all 4 products have made a tremendous difference to my veg growing this year and as you can see the corner bed blends in with the Gazebo and all the plants around it. 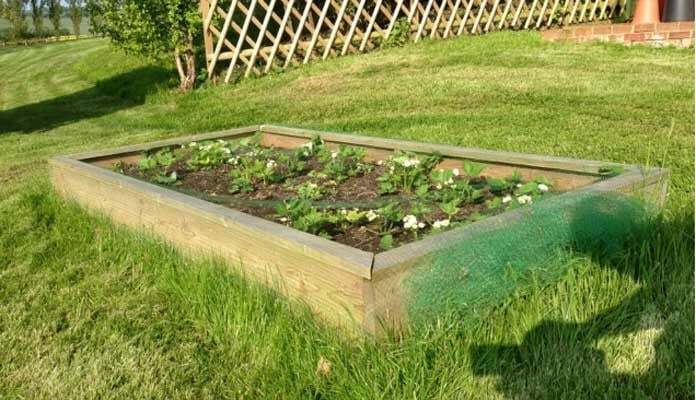 As an aside these are the second lot of raised beds I have bought from Harrod's the first lot are still being used in our previous house in Hampshire which were bought about 5 years ago." 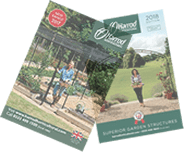 "I have purchased a number of raised beds from Harrod Horticultural to give a better look to my kitchen garden, and the combined effect is excellent. 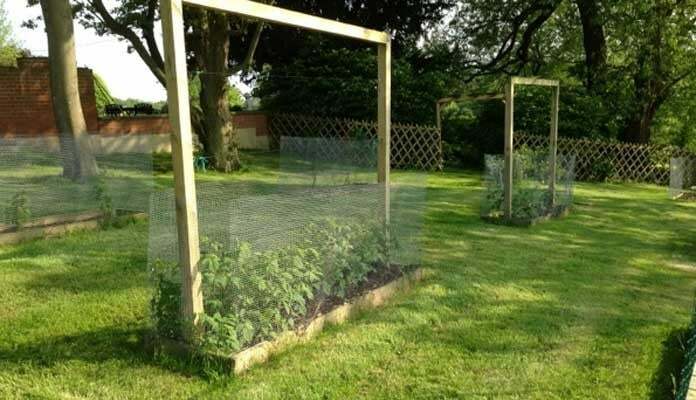 From the biggest beds for asparagus, salad leaves, potatoes etc ( I have a rabbit problem) to the single beds for raspberries, gooseberries etc, I would recommend to anyone." 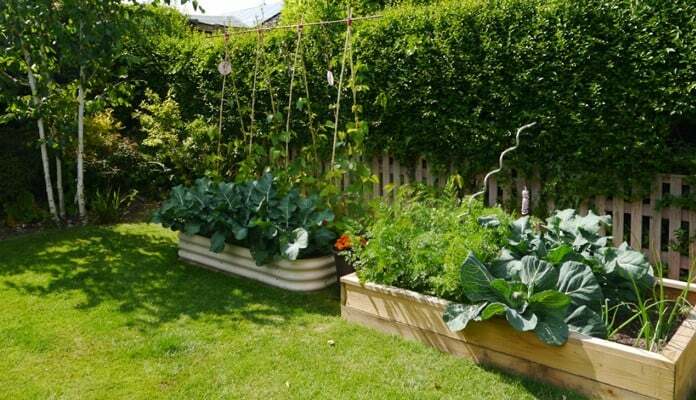 "Please find attached a picture of our Harrod Horticultural raised bed. 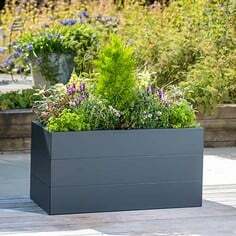 We bought it because we wanted somewhere close to the house for growing herbs and salad items. 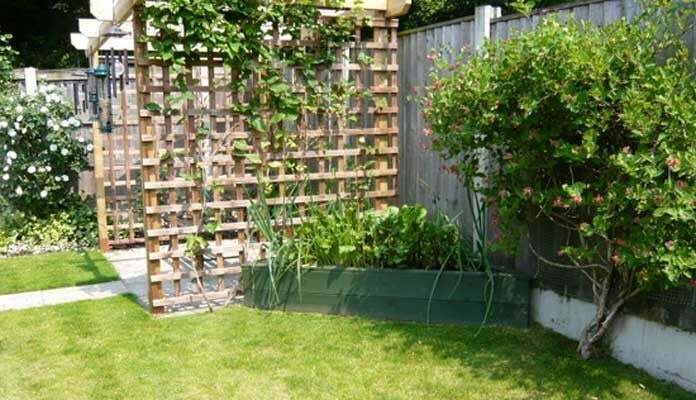 The picture shows some rather overgrown chives in the foreground, but you may also be able to spot rocket, cos lettuce, dill, thyme, parsley and a selection of cut-and-come-again salad leaves. We're also growing some garlic for the first time this year. All that fresh produce just next to the back door is really convenient. 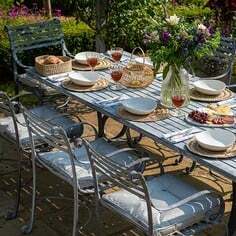 Sorry the bed is looking so dowdy and the overall look so gloomy, but that's our great British summer weather isn't it." 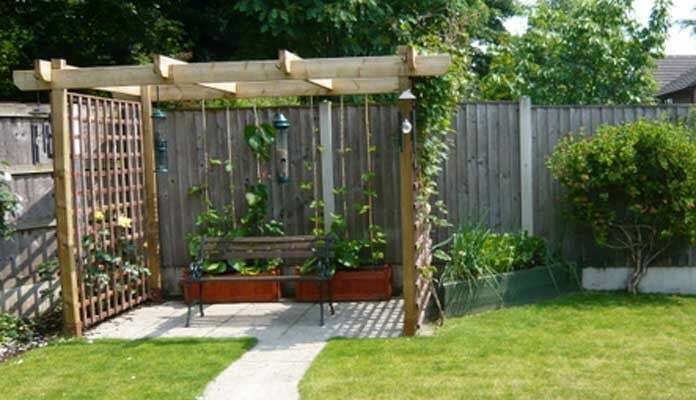 "The corner beds look superb and had helped us make the very best use of limited space. 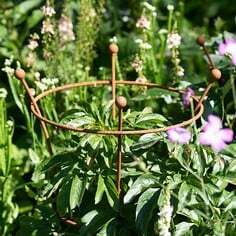 Lining them has kept watering to a minimum." 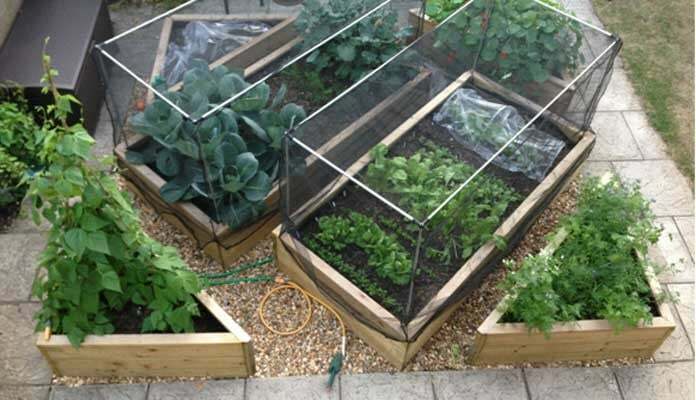 "I prefer growing veg in raised beds because you can grow more intensively, and there is no digging! 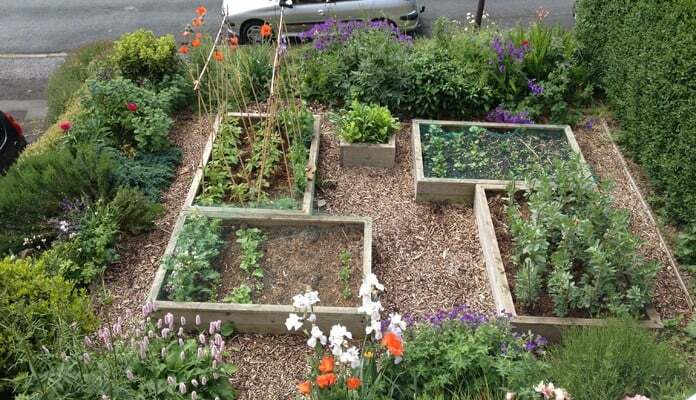 I grow veg mainly in my back garden, at the bottom out of the shadow of the house, but wanted to extend the area available. I also wanted to take advantage of my south facing front garden, so I wanted them to look reasonably good. These seemed like the perfect solution. 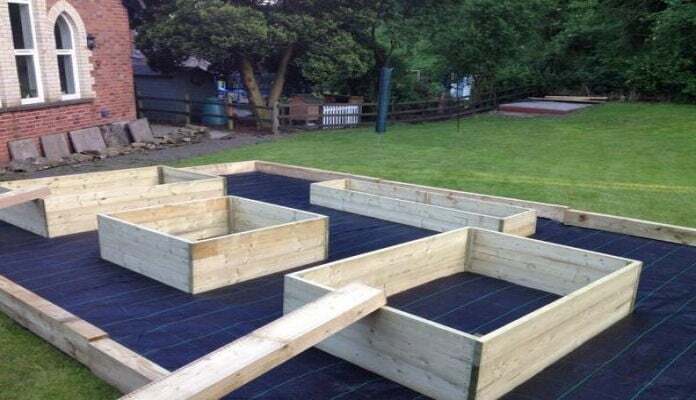 I simply laid black weed suppressant membrane over what was then turf, built the beds (very easy) and positioned them. Then I covered the ground between them with bark chippings. I kept the ornamental plants around the edge and I really like the effect. 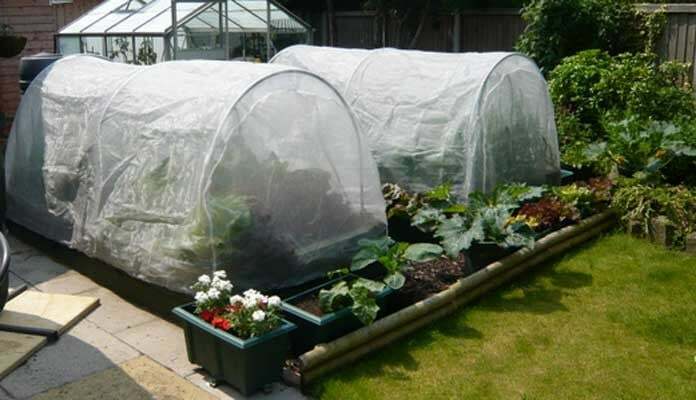 Since taking the photo I've also added a frame with an insect mesh cover to one of the beds, which I use to keep cabbage white and wood pigeons from demolishing my brassicas. 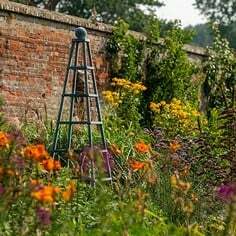 The beds are now in their 8th growing season and still going strong." 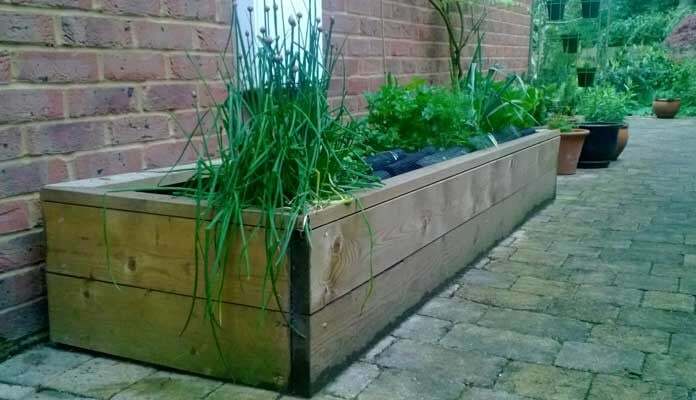 "I bought my second lot of raised beds from you last year - this time to go at the front of our house where a second car-parking space used to be. 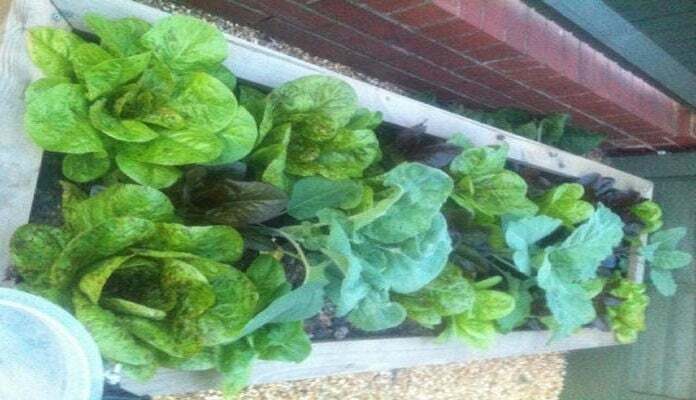 I’m really pleased with them - we’re getting lots of veg from them - and they look good too at the front of the house. Loads of people passing by have commented on how good they look - they’re productive but also look attractive. 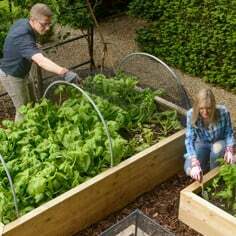 The thing I like about raised beds is that you can garden soon after it’s rained - as obviously you’re not standing on the soil - and that’s really handy when you haven’t got loads of free time." "First year of use-love them." 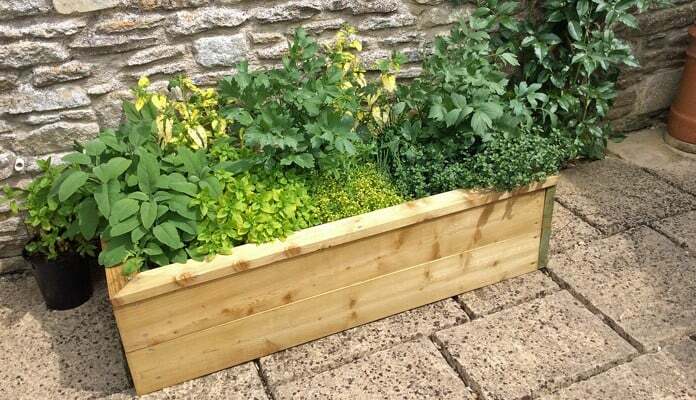 "Thought you might like to see my new herb bed, strategically placed near the back door. Mint is separate so that it doesn't take over."